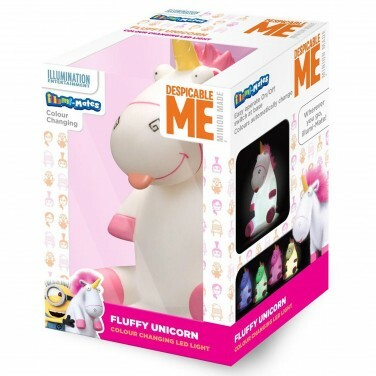 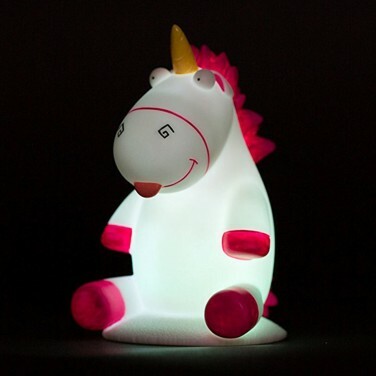 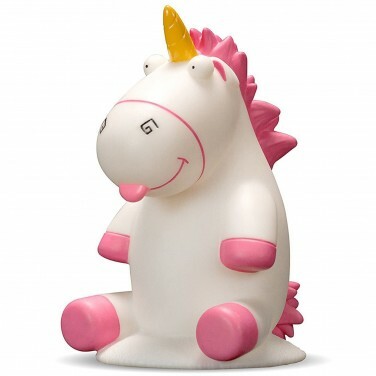 A colourful night light for kids that love their unicorns, your child can now drop off to sleep with Despicable Me's much coveted Fluffy the unicorn! 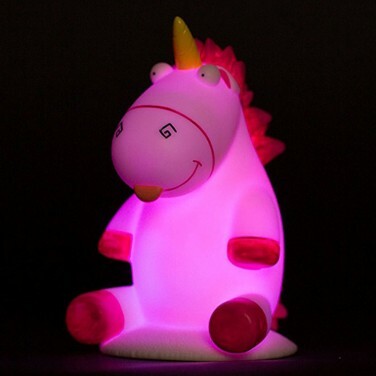 Lit by a colour change LED, Fluffy shines from within casting a colourful glow into your child's room for extra reassurance at night. 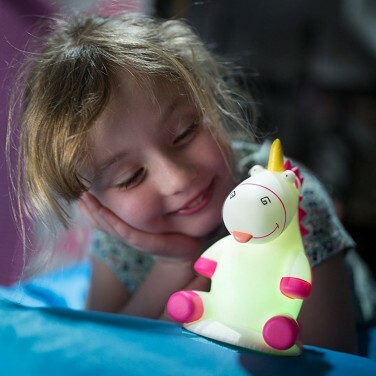 Battery operated, Fluffy the unicorn can be taken on sleepovers and holidays, and he's just the right size for small hands to hold at night.